My focus is on exceptional client care; I regularly go “above and beyond” my clients’ expectations. High integrity makes my clients work with me time and time again. Anyone who has ever stepped foot in a Nordstrom store understands the value that organization places on customer service. And if you think the focus is obvious to the outside observer, you should see how it feels for those who work there. I did for years - and I loved it! I thrive in an environment where customers come first and where every detail matters. In fact, between various careers, I have 30 years of experience in customer service industries. That's why, when I decided to change careers in 2005, real estate was an obvious choice for me! A lot of real estate agents talk about great customer service - but not many deliver what they promise. While I deliver extraordinary care to my clients, it doesn't stop there. I do what most agents don't - I carefully track and analyze the real estate market to spot trends and identify opportunities for my clients. I know which geographic areas and which price points are "hot" ... and which are "cold". That's data that's critically important to the success of your real estate transaction. Regardless of current market conditions, you can rest assured that I am committed to meeting your needs. I approach each and every client's situation with a mindset of ethics, enthusiasm and energy. You can count on me to support your goals though my actions. Along the way, I'll share information and my opinion about how you can maximize results. After all, we are working together to help you reach your dreams and I hope to be your real estate advisor - not just for a single "transaction", but for life! As a Realtor, I embrace a strict code of ethics and a responsibility to continually improve my knowledge and skill base. As a part of these efforts I am an Accredited Staging Professional and am Green-Certified. These aren't designations I've earned simply for the sake of my continuing education responsibilities; the knowledge that I've gained offer concrete benefits for my clients. I welcome the opportunity to hear about your real estate dreams - and to help you achieve them. When not working, I participate in many outdoor activities. Snowshoeing, cycling, hiking and gardening are a few of these. You may not know that I am an avid "stair climber"! Each year I participate in "The Big Climb", scaling 1,311 stairs in a fundraiser to benefit the Lymphoma & Leukemia Society. Of course, I have an "indoor" side as well. I enjoy the arts, ballet, movies and plays. I have lived in the Seattle area most of my life and have a home in North Seattle where I enjoy spending time with my husband, family, friends and our black lab, Bowser. My specialties are from Downtown Seattle to Bellevue and Edmonds including Kirkland, Redmond, Queen Anne, Magnolia, Ballard, North Beach, Green Lake, West Seattle, Maple Leaf, Northgate, University, Wallingford, Fremont, condos, townhomes and single family residences. As a first time home buyer I was extremely satisfied with Kate. She made sure we understood the house buying process and that all of our questions were answered. There were no surprises along the way, which was HUGE for us. Kate did a great job of helping us to weigh our options without being pushy or aggressive. In fact, not once did I feel pressure. She truly wanted us to find the perfect home for us. She also has a wonderful personality and is very easy to work with. Kate was a pleasure to work with. She answered all of our questions and responded in a timely manner. Kate has extensive knowledge of the Puget Sound area, especially the north end. 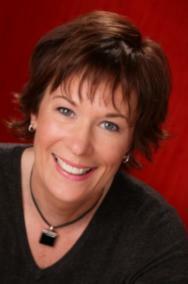 She not only sold our home in Ballard, but also served as our agent to purchase a home in Edmonds. A short time later she sold our mother's home in Greenwood. Without hesitation, we continue to refer Kate to our friends and family. Kate is truly amazing! Once the house was ready to put on market and we did a few things to it that she recommended, the house had offers the very same day she put the sign in the ground! Kate takes the time to walk through the process and explains every detail, even multiple times until we get it! Finding a new house was the challenge but Kate took information we gave her regarding what we were looking for and we have now been in the new place 9 months and could not be happier! Kate helped me buy my first home and the experience was so awesome that I recommend her to everyone I meet that may have a home in their near future! I was afraid I would not be able to get through the home buying process, Kate is so knowledgeable and professional not to mention one of the most patient people I know! She put up with my jitters and endless questions and now 9 months later I am in my fabulous home! Dear Kate, You have been an exemplary agent & I consider myself very lucky to have made contact with you. Kate, There should be more people like you! Thanks for everything. You are wonderful! Kate, I am in my new home thanks to you, and for that I am grateful. As someone who romanticized the buying of a first home, I never expected to go through the process alone. I could not have picked a better agent to navigate me through the process. Your patience and commitment to helping me find the right home resulted in an assurance I ended up in the right place. When I was ready to give up during the negotiations, you gave me the gentle "push" I needed. Your professionalism and friendly negotiation style resulted in a deal that left everyone feeling good. During our first meeting you assured me you provided the same service to everyone, regardless of their price point. You proved again and again to be true to your word. When it comes time to move again, you'll be the first person I call. A heartfelt thanks! Kate was a joy to work with. We had several requirements for our first home together. Kate listened carefully to all of our needs and gave us a tour of pre-screened homes every Saturday for a few months. We were picky, picky, picky! Thankfully, Kate was incredibly patient. We enjoyed our home tours with Kate and missed seeing her once she found the perfect house for us. We highly recommend Kate. She is proactive, she's an engaged listener and she will always have your best interests in mind. Thanks, Kate. Dear Kate, First of all we just are so lucky we got you as our agent. We truly appreciate everything you did to help us get our first home. We really love the sweet person that you are and hope we can stay in touch. I am sure all your clients want to be your friend, but we REALLY want to. Please stop by and see the progress.